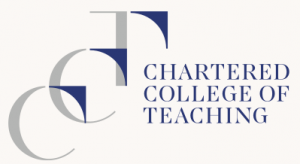 CPD Bytes is a specialist provider of professional development courses focused on dyslexia support and disability – raising awareness and recognising signs and addressing strategies and policies centred on inclusion and equality in schools, colleges, universities and the workplace. Our courses are suitable for dyslexia support for teachers, dyslexia support for teaching assistants and dyslexia support for parents. Our courses’ content has been authored by a respected authority in the SEN field, our Education Director, Moira Thomson MBE. She is the author of several works on Dyslexia and Gifted and Talented education, including the Dyslexia Scotland publication Supporting Dyslexic Pupils in the Secondary Curriculum and the book Supporting Dyslexic Students at Secondary School which is published by Routledge. Moira’s MBE was awarded in 2014 for Services to Children with Dyslexia. Our range of over 30 specialist dyslexia courses cover areas including Introduction to SEND, Defining and Identifying SEND, Hidden Dyslexia and Barriers to Learning. 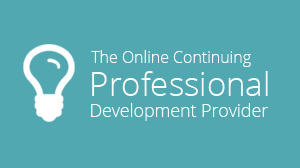 We offer a flexible model of CPD delivery with all our courses available online 24/7 allowing you to complete them at your own pace in your own home. Cutting out the need to travel to a training centre for a specific time on a weekly basis. Eco-friendly and cost-effective! Our training site interface uses Moodle, a free and open-source software learning management system, designed to provide educators, administrators and learners with a single robust, secure and integrated system to create personalised learning environments. All of our courses include a glossary, recommended reading, a course forum and direct access to tutors. Along with flexible delivery, we offer flexible payment options to suit different needs. Choose from one simple annual subscription that gives your organisation access to over 30 courses, or simply a one-off payment for the course of your choice. Upon completion, we will send you a CPD certificate for your training records. CPD Bytes also offers some free courses – Introducing Dyslexia awareness for Post 16 Staff, Introduction to SEND (for all school staff) SEND 151, Introducing Hidden Dyslexia (Non-Education Professionals UK) HD413 and Introducing Hidden Dyslexia (All Education Staff UK) HD713. Enrol for free through the website.